NEBRASKAland Magazine is dedicated to outstanding photography and informative writing with an engaging mix of articles and photos highlighting Nebraska’s outdoor activities, parklands, wildlife, history and people. 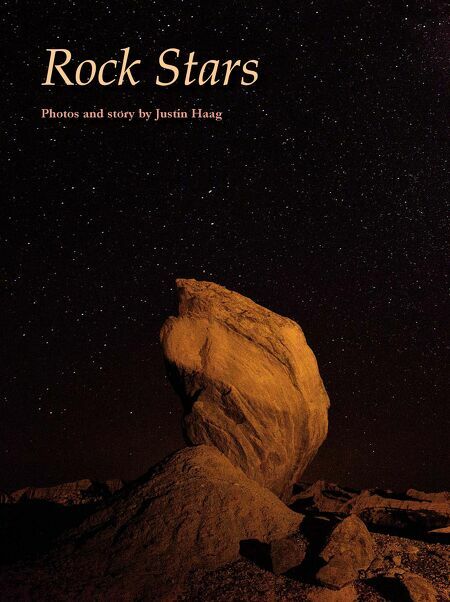 JUNE 2016 • NEBRASKAland 41 MARCH 2009 • NEBRASKALAND 41 Much like a satellite dish, or some other form of equipment in a science fiction movie, one of the rock formations at Toadstool Geological Park near Crawford points to the Milky Way on a July night in this moon-like scene. 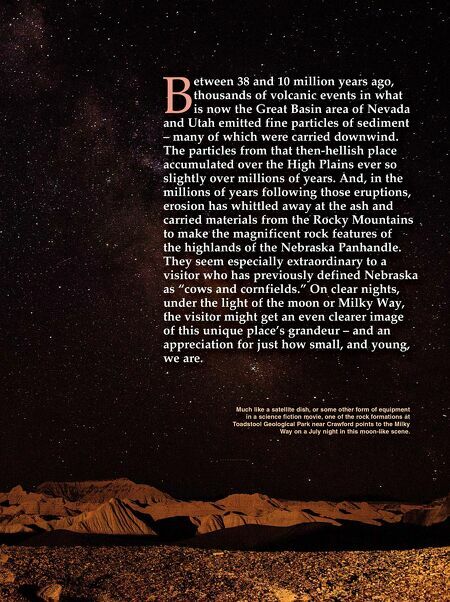 B etween 38 and 10 million years ago, thousands of volcanic events in what is now the Great Basin area of Nevada and Utah emitted fine particles of sediment – many of which were carried downwind. The particles from that then-hellish place accumulated over the High Plains ever so slightly over millions of years. And, in the millions of years following those eruptions, erosion has whittled away at the ash and carried materials from the Rocky Mountains to make the magnificent rock features of the highlands of the Nebraska Panhandle. They seem especially extraordinary to a visitor who has previously defined Nebraska as "cows and cornfields." On clear nights, under the light of the moon or Milky Way, the visitor might get an even clearer image of this unique place's grandeur – and an appreciation for just how small, and young, we are.